For anyone that might be interested, world renowned Czech classical guitarist, Vladislav Blaha, will be in the Chicago area to delight us with his mastery again. He will be coming to us fresh from holding a master class at Julliard as the only Czech classical guitarist to do so. 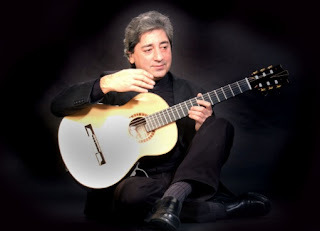 Blaha is the only Czech guitarist interviewed and featured on the cover of Classical Guitar Magazine twice – first in 2003 and now in the upcoming May 2013 issue. He plans on captivating us with works by Weiss, Vivaldi, Morel, Falla, Tesar, Rodrigo, Koshkin, Jobim/Dyens and Duarte.